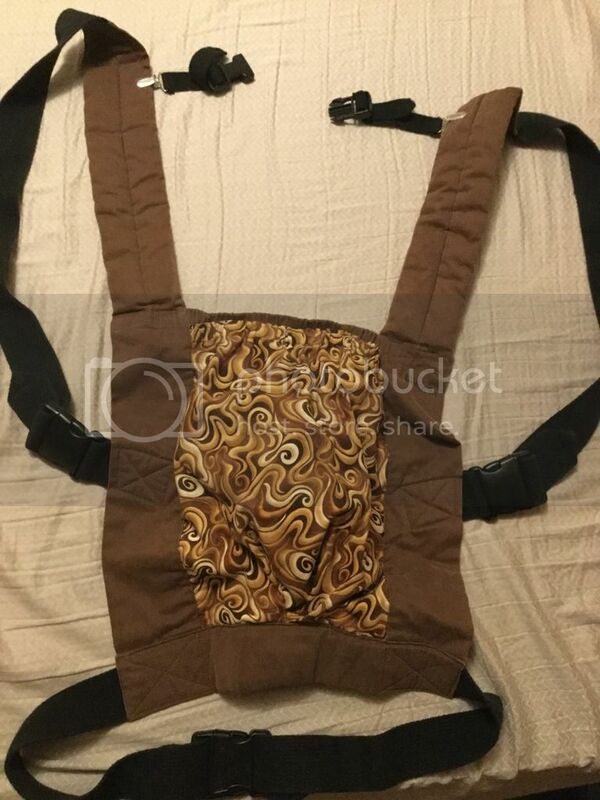 TenToes Click soft-sided buckle carrier $70 $50ppd. 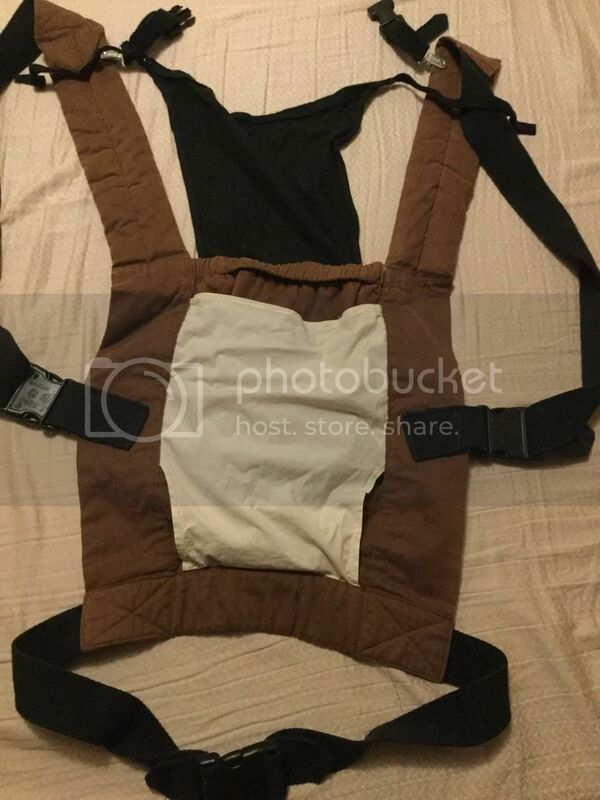 Very adjustable; it fit me well (5’0”, 115lb.) and my husband as well (200ish lbs.). 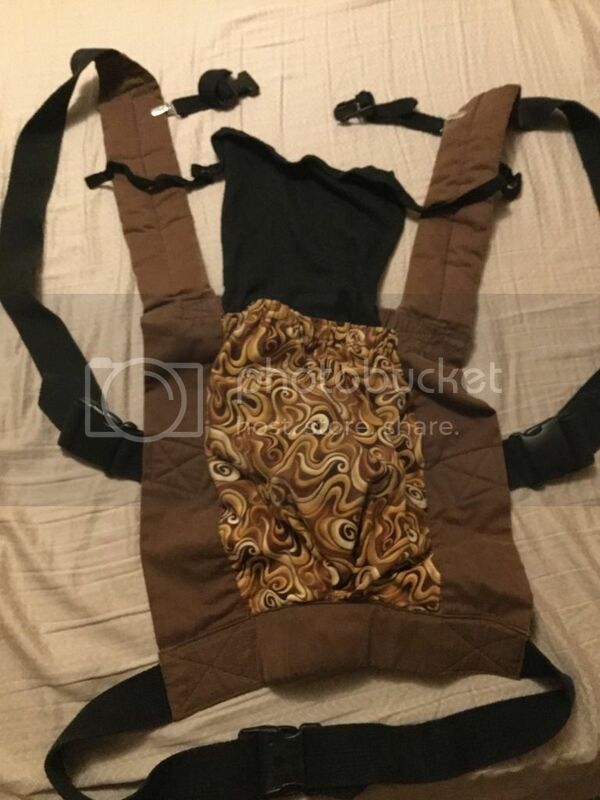 Webbing is 100% cotton and so are the shoulder straps and all the other fabric. 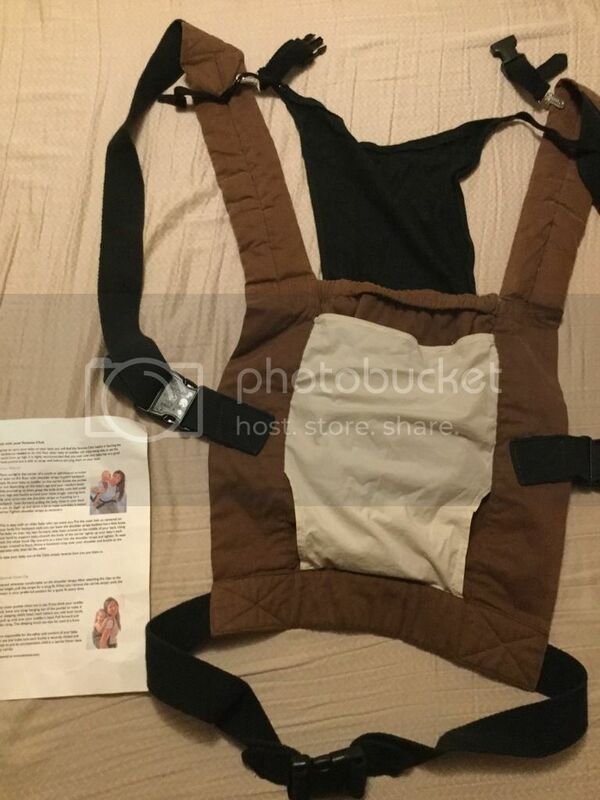 Removable chest buckle. Sleeping hood tucks into back pocket (first photo) and has straps with snaps to attach the hood to the shoulder straps. 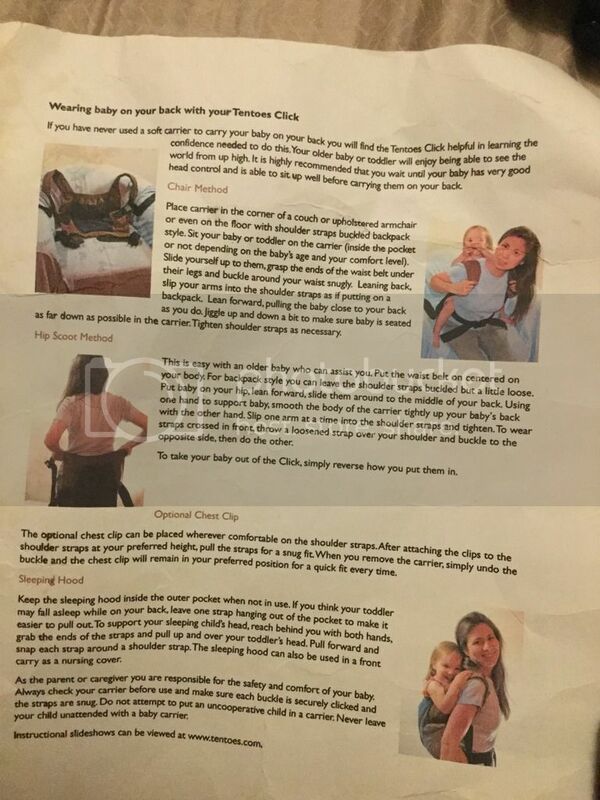 Swaddle pocket for newborns inside. Extremely comfortable and beautiful. Only worn a couple times. Hotslings pouches: Quinn (striped) in adjustable and size 2, black and white in size 1. The black and white one has some minor discoloration along the rails and a small brown stain that isn’t noticeable. I haven’t tried to treat or remove it. $30 $25ppd for adjustable Hotsling, $25 $20ppd for the size 2 Quinn Hotsling, $20 $15ppd for the size 1 Hotsling. Lot of 3 Hotslings for $60 $45ppd. 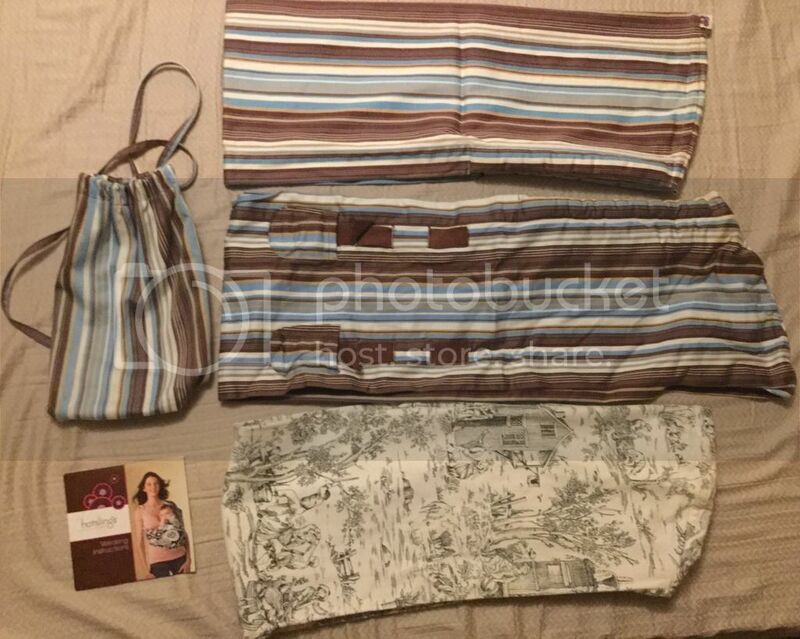 Or take all 4 pictured carriers for $100ppd $75ppd.